UPDATE: We first published this Ultimate Branding Blueprint Review on November 26th 2014. This was after we had implemented the training and literally started seeing results… No Spoilers here but, since then, Tanya Aliza has updated the e-Course and added a plethora of Bonuses that have made this product a Must have for anyone looking to Brand you Online with an Up to date walk through on how to do that! 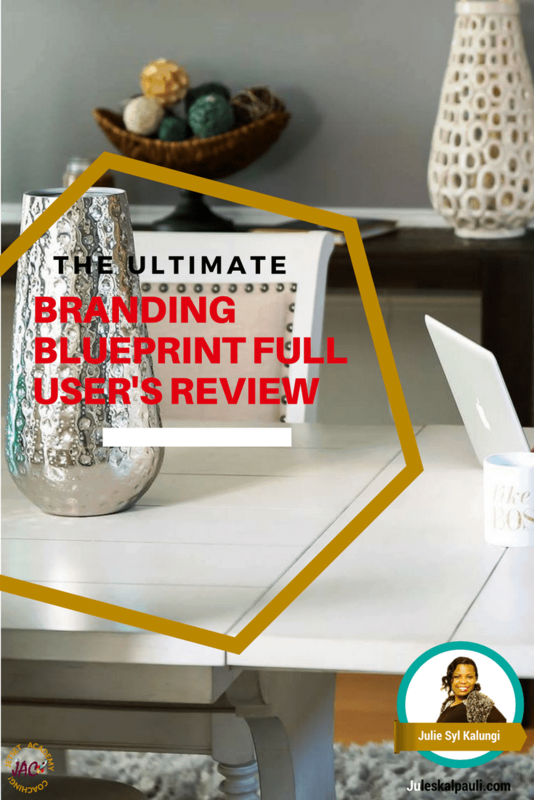 Understand that you’re reading an uncensored review of our experience with the Ultimate Branding Blueprint with Tanya Aliza (UBB). So for more information on that resource; Click here to visit the Official Website. Why are we writing this? Well, when we first learnt about the Ultimate Branding Blueprint with Tanya Aliza, there weren’t too many real reviews about, so we thought we’d write one to help new and potential customers in the same position we were. 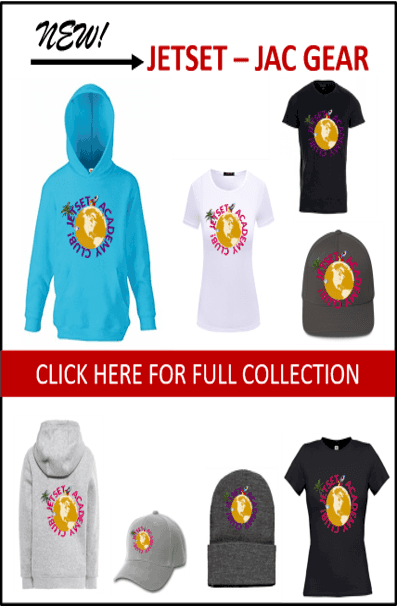 The Ultimate Branding Blueprint the signature product of Online Marketing Rock-star, 7 figure earner, Founder of Business Blog Mastery, and all round awesome woman Tanya Aliza Rodriguez. It shows you the exact system Tanya herself uses to generate a minimum of 5-10Leads per day, which lead her to recruit over 400 direct reps in her primary business and earning a consisted 6figure monthly income online, from absolute fundamentals to the exact little details. But it’s not what you’d expect. We’ve bought many courses, some frankly a great disappointment! When we logged in to the members area for the first time wow, we had a pleasant surprise! A plethora of articles or videos that have the most detailed training on Branding, Website setup, Design, Launch and promotion that exist today. Tanya takes you on as her Student-Client, if you will, and invites you to take her as your coach. Then she leads you step-by-step through her exact formula to Branding You Inc., blogging and monetizing your blog to create a consistent residual income. The whole ‘personal’ element is something we loved about this course. Plus there’s a members-only forum included where you can discuss the teachings with Tanya herself (and other members). Think for a second how valuable it would be for you to have a direct communication link with one of the best internet marketers in the business? This is a big plus, and something that’s absent from many other courses. So what Actual System does the Ultimate Branding Blueprint Training Teach? • Welcome video and General Overview of the Ultimate Branding Blueprint by Tanya Aliza giving you a bird’s eye view of the course and Guiding you on what steps to take step by step in order to get the best from the course and for your own Branding Satisfaction! • Ultimate Branding: Your Own Personal Domain/s and Hosting services. The Themes to use to create the best aesthetically pleasing and responsive website and STEP BY STEP. Tanya guides you like she is over your shoulder, very few Gurus do this! • Ultimate Target Marketing: Tanya shows you how to create the look, feel and online style of your brand (with a Bonus action workbook) something to measure your success later. • Building Your Blog: includes lead form setup so you can start generating leads fast. Tanya gives blog money making tips here. 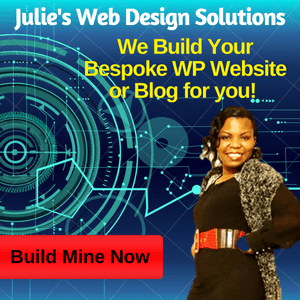 (There are 9 steps to this and they are all crystal clear & so simply laid out You will never have to pay a web designer to build your website for you, unless you are completely non tech savvy! The mighty Plugins and Widgets, without costing you a penny. We can safely say we have not spent a $ on any plugin at all thus far and you can see how wonderful our website looks! • Tanya’s BONUSES and these alone made the whole course super powerful. Coz this is where Tanya digs into Attracting targeted leads, Building Your List, Monetizing your blog/website, SEO & making Google happy, thus Ranking, Yes Please…! We have had the absolute pleasure of interviewing Tanya Aliza and are super pumped to Share it. We Encourage You to Listen to this audio and Download it, you will learn a heck of a lot! Personal and Business Branding, Online Branding is Essential in this Era & its Vitally Important that You Get Your brand Online Fast. The UBB is an All Round Course and Tanya brings it fully loaded. It comes bundled with affiliation, as a UBB student you can promote and recoup your costs earning great commissions, making it even more attractive! Obviously this is a HUGE oversimplification of the Ultimate Branding Blueprint, there is so much value given its priceless; but this is a quick version for you. Now you may think that other internet gurus are already doing this…NO they aren’t! How many mailing lists are you on from people who gave out free products to you, worth Thousands? So now you see how powerful the Ultimate Branding Blueprint with Tanya Aliza is. As UBB students we’d had success earning 5 figures in a network marketing company we promoted before, with over 250 direct team members. BUT we always promoted the company website and brands. We had never ever branded ourselves and we were not Building our List, because all our leads opted into the company landing pages! It’s true that we got thousands of opt-ins, who we never got to build any kind of relationship with, thus losing their interest. Yet they showed interest by OPTING into the links we promoted! This will never happen again with our own brand and website at the front line. You are your own brand! The buck stops with you. And the Ultimate Branding Blueprint gives you that edge in your journey as a brand. Whether in MLM, or as a business owner, HBO and network marketing, it all begins here! We can tell you now, as we share our personal experience of the Ultimate Branding Blueprint, we get a minimum of 5 leads per day! This alone was worth the whole course! Tanya Aliza brings it period, the Ultimate Branding Blueprint coaching definitely ranks among the best on Branding & Blogging that we’ve seen today! In short: Ultimate Branding Blueprint Course works, so get marketing with Tanya Aliza. • A newbie or a non-serious person may find the $397 Price-point a bit steep, if you don’t appreciate the value of Personal Branding and Blogging to Grow as a Sales Person then it’s not for you! Listen up, that price is given back to you in way so much value it’s amazing. You have the opportunity to promote the UBB and recoup your costs over and over again…so we didn’t use this as an excuse and neither should you! 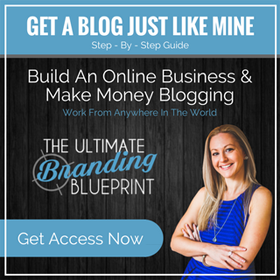 Ultimate Branding Blueprint with Tanya Aliza more than outweighs the cost in value received and the growth in you as a Brand and Blogger for business and Home Business Entrepreneur as a result! • The volume of information can be a bit daunting to someone who has no computer skills at all. 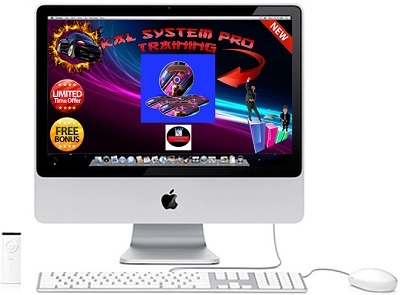 So If you have some Basic Computer skills and can browse the internet, Get It! We guess if you’re looking for a quick little system then you need to look elsewhere, because with the level of detail Tanya offers you’re pretty much guaranteed to learn and to grow your Brand, get Long Term results IF YOU APPLY YOURSELF! • Tanya took into consideration time zones and had the whole course pre-recorded, all scripts and PDFs attached and links given so you don’t have to stay up in the wee hours to attend live webinars if based in Europe, Africa, Asia etc, you can replay, revisit anytime & learn, or make changes to your brand as you and your list grows. This is absolutely priceless, so again training with Tanya Aliza is a worthwhile investment! • One of the world’s best Internet Marketers, multiple 7 figure earner, and Trainer as your personal coach. Her coaching and hands on approach as a Mentor is next to None! We can’t really stress the benefit of this enough. • The included products and PDF/Audio Reports. These will save you a LOT of time, and show you exactly what a great Branding & Blogging product should be like. • The direct-line of contact with Tanya the Facebook forum and community spirit in there is awesome. Tanya directly answers your questions, very hands on. We can’t overstate how valuable this is. We’ve come to the end of our Tanya Aliza’s Ultimate Branding Blueprint Review. It is one of the most impressive and complete training courses on branding and blogging today that we’ve seen in a long time. We can honestly say the course has changed our business and lives. If you’re ready to Brand You and Grow Your Business like a Pro, if you know where you are going, then Get the Ultimate Branding Blueprint with Tanya Aliza, and watch your brand grow! If you’re looking to get started in the Internet Marketing business and want to set up the right way for the long term rewards, we can’t recommend Ultimate Branding Blueprint & Tanya Aliza enough! So much so that we gave a short testimonial about the Ultimate Branding Blueprint & Tanya Aliza! TO IMPROVE YOUR BLOG BETTER SEO. HELP YOU GET THAT IRRESISTIBLE OFFER GOING FOR FASTER LEAD GENERATION. IN ADDITION TO A 25 MIN FREE COACHING SESSION WITH US TO ANSWER ANY QNS YOU MAY HAVE. THIS OFFER IS ONLY OPEN TO THIS BLOG AUDIENCE! GET THE UBB HERE NOW FOR THIS SUPER BONUS! If you have found value with this unbiased Ultimate Branding Blueprint Review, please drop a comment below and share it with your friends! Thanks for this review of the ultimate branding blueprint! Great branding article and your review of Tanya Aliza’s Blueprint! Branding is super important for business. Thank you for sharing! This post was wonderful and informative. I like reading things like this to know more about branding and things like this. Thanks for sharing! Really great for everyone especially for beginners in blogging. This is really a great help. Good way to strategies on your blog and a few other things too. Good to know it works well enough too. Maybe this is what I need to improve my online income. I am barely scraping cents from online income! [ Smiles ] I always enjoyed reading about branding. Thank you for sharing this information with me, Julie! What a great review. Blogging can take sometime to really put together and from the sounds of it this is a great course with amazing over the shoulder teachings that will help anyone become a successful blogger. As I am a blogger and I am not exactly selling anything aside from my personal recommendations about products, I am not sure all of this would work for me. But it does sound very intriguing and I would love to learn more about keeping the consistent brands across platforms. This sounds amazing! I like the branding blueprint idea because it’s also part of learning how to be organized as a blogger too. People don’t get how much work is involved in it, but something like this would be really helpful! Thats the thing Karlyn and why we shared this review. We dont usually review stuff as it takes some serious tracking and recording results. In this case we had to. And we love what we saw! Looks pretty fantastic! Perfect for business owners or those want to start a business like me. I’ll do a thorough research of the Ultimate Branding Blueprint. Thanks for sharing these information. 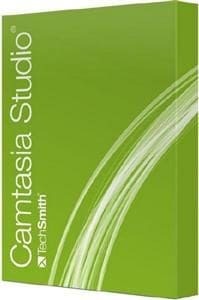 Very helpful and i will consider this to improve my projects. This course sounds very interesting. Especially for bloggers/website administrator, this is a huge help as well for lead earning. Thanks for sharing! I’ve had so many people ask me how they can make money blogging. I should just send them to her course! Looks fantastic! What a great tool and so resourcefu! Thank you for sharing this, it was so interesting to read! Sounds like a great idea and like it will be useful to many! Thanks so much for your research and all the information in this post, including the audio interview! It looks like a really comprehensive program for anyone who wants to get serious about branding their product. ?? 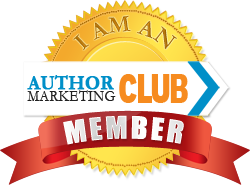 It is a comprehensive resource for personal branding and blogging. Cant recommend it enough! I’ve heard great things about the Ultimate Branding Blueprint. It sounds like a great investment if you are willing to make it and put the time in required to complete the program and make it work for you. 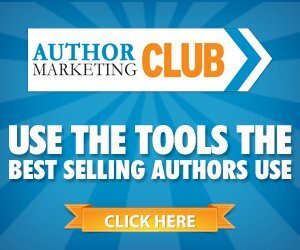 This seems like a really great program that will help new blogger or business owners. I’ve mine own for a year and half and just started to get the hang of it. This is great. Lot of good info! I am glad ppl found this review helpful and making good income from marketing. This is very informative and useful. I am sure that this would be a great help to those who are new in this kind of business. Thank you for sharing it with us. Always a great read everytime I visit your blog. I have been blogging for a few years now but I have not reached that 6-figure a month income! It would be nice to be able to reach that milestone! With all the resources you provided in this post, I think I will be able to reach my goals now. Awesome review! Thanks to what Tanya has done and for this well-detailed review. 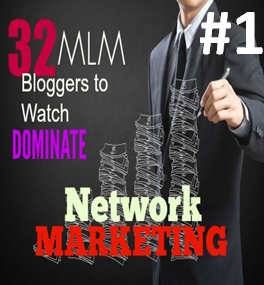 Definitely, a useful tool for me and other network marketers! this resource seems to be the need of an hour. I really need to understand and deep dive the monetizations in blogging and to have a great follower base. Shall look into it certainly. What a great teaching tool, I have struggled for years with my brand and only have just started to figure things out. DIY is the biggest Tine and life stealer, for time is life itself. So Dont labour the point trying to work out of your Genius…Let go and invest in your brand! Thank you so much for sharing your experience with this program. It sounds very comprehensive. I’ll have to look further into it. Sounds like it has everything you need. I think this is perfect for anyone who’s just beginning to blog or build an online business or those who would like to improve as well. So many Older more seasoned bloggers, not making much with their blog because its not set up right Alison. I recommend this for them too! She sounds great. A lot of people just need it laid out in a simple way like this. I hope she can help a lot of people. This is funny that I am reading this. I had just started working on what I was calling my game plan but honestly it’s more like a blue print. I want to look into this more. Absolutely look into it and enjoy the new journey when you make that decision. It is your time! It sounds like a great course. I really appreciate the availability of the forum to discuss with the creator and other members. That kind of support can make or break your success. This is a useful resource right there and I would love to learn more about it. I’m curious to find out what a lifestyle blog would do with any ‘leads’ that are generated. I can understand that for certain blogs, having an email subscriber is a great way to stay connected to readers and promote continuously, but is this effective for a lifestyle blog as well? The most successful Lifestyle Bloggers Ronnie have built and are Building a super list of subscribers, fans and followers who not only buy their offers but also take action on their recommendations. Building a responsive email list is creating your own ATM. Brands love to work with you because you have a powerful list. If all you want are a few sponsored posts where you hope to attract organic clicks maybe you can live without building a list. Otherwise You Need to do it Ronnie. Sounds like a useful resource but I am going to work with the ones I already have before paying for anything else right now. Keep rocking it Mardene we are glad you have the resources for your brand and see you at the top hun. Thanks for stopping by! $397 sounds reasonable to start. I like that you laid it all out in a blueprint. 397 is a very reasonable price to pay for the ton of value Tanya Pours into her students and encourages you, cheering you on to succeed. The action is down to you! It’s awesome that you shared this with us today. It’s informative and it’s perfect for business owners like me. I would love to learn more about what needs to be done and you’ve provided that information in a way that it’s easy to understand. Maintaining a business is definitely not a walk in the park. There will be times wherein you feel stuck and most of the time that’s when the business is not doing as good as you expect it to be. These are really helpful. Glad you got value ELizabeth 🙂 Thanks for your time! This sounds like a wonderful teaching tool to have. I have been blogging for about 5 years now and , although my income has steadily increased, I have still not figured out all the secrets to the big bucks. I think this would be the thing that I need to show me how to do it. This Branding Blueprint seems like it would be extremely informative and helpful! As a marketer, I’m sure it would be beneficial! It sure did change our game for the better, so we believe it can do the same for others and thats why we shared too! It’s simple, yet effective. Plenty of times it’s very difficult to get that “perfect balance” between user experience and appearance. I have to admit you might have done a great job using this. In addition, the blog loads very quick for me on Chrome. but usually folks don’t discuss these issues. To the next! Thank you Normand for your comments. Well Bulah Can I just say your cousin definitely has taste 🙂 And loves you! The Question is were you recommended the Ultimate Branding Blueprint with Tanya Aliza or Our Website. whichever you were send us an email via our Contact or Work With us page and we will get back to you within 48 Hrs if there is anything we can help you with! can you elucidate on that Chaussure? Thanks for dropping by. in our research or simply to read a good blog post!